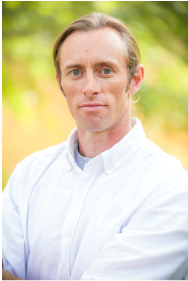 Richard is a Mind Body Movement Art Practitioner, Instructor, and Co-Founder of Mind Body Movement Arts. His diverse background offers multifaceted experience and knowledge that is continually being built upon by his on-going studies and daily practice/s. Richards skills are drawn from teachers teachings and techniques from various cultures. The experience he has gained through continual study and practice has led him to gain insights into the commonalities of Mind Body Movement based Arts . It is Richards vision to help others connect to themselves on a very deep and intimate level. This is possible by encouraging, allowing, and teaching, others to become the Artist and exposing them to Mind Body Union techniques from around the globe . Mind Body Movement Arts sole purpose is to expose what is inherently true within these Arts, and that is: "When Mind and Body are united in our practice/s, the limitations disappear, allowing full potentials to be revealed. Ruthann is a Mind-Body Movement Practitioner, Instructor, and Co-Founder of Mind Body Movement Arts. 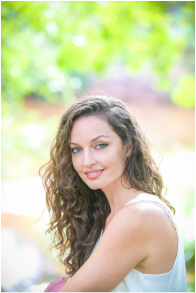 She is passionate about sharing the healing modalities associated with mind-body practice and movements. Drawing from her multi researched and explored movement background she is able to help guide people to connect to their body. With her knowledge, technique and heart her goal is to help guide students to realize that they are their own healers and masters of the life they choose to live. Ruthann has always been inspired and drawn to physical movement. Her background is very diverse, with experience in gymnastics, dance, running, swimming, physical culture, Yoga, Tai Chi, and Bagua. She was captivated by ancient teachings, philosophy and practices. This multifaceted experience allowed her to connect mind, body and spirit in her daily practice. This union of mind and body enhanced her balance, strength, flexibility, creativity, and enhanced all areas of her life. Ruthann’s background is rooted firmly in her yoga practice. She continues to deepen her practice, while also learning and exploring other mind-body arts. She has special inserts/studies in Indian Classical dance, Yoga, Tai Chi, and Bagua. She thrives on learning about the classical arts and believes they should be preserved for all others to benefit from. It is her vision to help others by sharing the commonalities of mind body movement arts; to allow the individual to deepen their own practice and life. To help others become the best they can for them self and for all life.